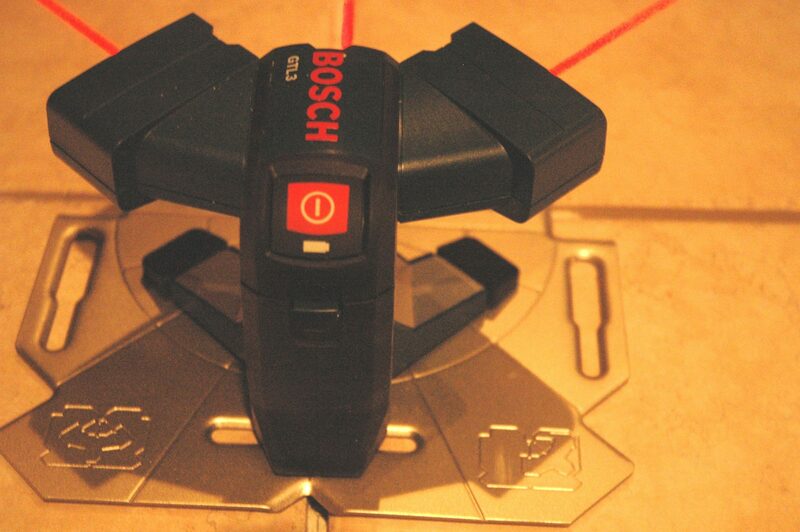 Two tools I discovered invaluable in my latest tile job are the Bosch Tile Layout Laser and the Wagner PaintEater. 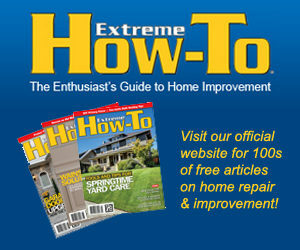 The Bosch Laser built for tile and wallpaper professionals is an inexpensive tool that handles these tasks very well. I found the 45 degree lines helpful even on my jack-on-jack layout. The 45 degree lines I used to bisect my tile corners so even on tile rows already set, I could check for straightness. The 90 degree line lines up the edges of the tiles being laid and for a large room this may be the easiest way for the DIY tiler to keep his rows straight. I also used spacers even when I was relying on the laser for straightness. Check out the GTL-3 Bosch Laser. Now my other tool I found to be especially useful was the Wagner PaintEater. Although it was not meant for tile cleanup, it excelled and on my tile it did not hard the tile. But before using it on your tile, try it on an inconspicuous place to make sure your tile want have its surface scratched by the 3M pad that the PaintEater uses. On the large area I was installing, both thinset spills and grout smears were drying before I could sponge them off. The PaintEater cleaned these messes up fast. The cleanup was dusty so bear this in mind if you use this tool in an inside or enclosed area. Wear a mask. Close doors to seal off dust from other areas.